Slow page loading speed? Unsecure purchase platforms? Whole site down for long periods of time? If your business’ website is undergoing any of these issues – or you’ve experienced them as a user – you’ll know how frustrating they can be. So what’s the solution? This is where web hosting steps in, a service that allows your business’ website to be located and viewed online. Find out how to host your own website here. However, with a range of providers out there all offering varying pros and cons, choosing the right hosting service for your start-up can be difficult. To help you make an informed decision, we’ve rounded up our pick of the five best providers – looking at a range of metrics from the best for WordPress hosting specifically to the easiest to use. With in-depth profiles of each provider and additional information answering the key questions around hosting, read on to find the right provider for your small business. If you’re not sure why your company needs to be online, find out more about what a website can do for your business. Read on for a complete overview or skip to the section that’s most relevant to your business. Or, if you’re ready to compare quotes now, just go to the top of the page and fill in the form. In this section we’ve compiled a guide to our top five picks for best web hosting for small businesses. The Business package is suitable for start-ups that only require hosting for one website or project – it includes 100 GB storage, 25 databases and 25 email accounts. For growing businesses, the Pro package is ideal, as it can maintain up to five websites, as well as 250 GB storage, 100 databases and 100 email accounts. Businesses with more advanced hosting needs could opt for the Expert package, which can cater for up to 50 websites, plus it includes 500 GB storage, 500 databases and 500 email accounts. 1&1 is best for combined hosting and a domain name because it has an offer of a free domain name for the first year. However, it doesn’t specialise in web hosting only. With headquarters in Germany, 1&1 also has data centres globally. It was founded in 1988 and now manages 12 million domains. It became 1&1 IONOS in 2018 after combining its hosting services with ProfitBricks’ cloud infrastructure services. Within Bluehost’s shared hosting offering, there are three plans available: Basic, Plus and Choice Plus. The Basic plan could work for small businesses that are just starting out, as it provides hosting for one website, as well as 50 GB storage and unmetered bandwidth. For more developed businesses, the Plus plan could be suitable, which includes hosting for unlimited websites, as well as unmetered bandwidth and storage. Businesses looking for more extensive hosting features could consider the Choice Plus plan, as in addition to the features included in the Basic and Plus plans, it also offers CodeGuard Basic site backup. Bluehost is best for WordPress hosting with three different types of plans (Build, Grow and Scale) for WordPress specifically. However, Bluehost’s multiple hosting offerings can be confusing. Founded in 2003, Bluehost powers more than 2 million websites worldwide. It offers shared, cloud, dedicated and reseller hosting, as well as specialist WordPress hosting too. 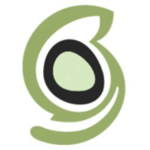 The Ecosite Starter is suitable for start-ups that are early on in their journey, offering unlimited bandwidth, one free domain name and SSL certificates. For growing businesses, the Ecosite Pro is available, which includes the Starter services, plus PowerCacher technology to help increase website speed. Online shops or business websites with high levels of traffic could consider the Ecosite Premium, as in addition to the above features, it includes a premium SSL certificate and the ability to send 500 emails every hour from the site. GreenGeeks is best for eco-friendly web hosting because it offers an unique environmental policy – it replaces the energy your website uses with three times that amount in wind power credits. However, it doesn’t have a data centre in the UK. Started in California, GreenGeeks offers data centres around the world. It hosts more than 300,000 websites, offering standard hosting, as well as specific WordPress and reseller packages. HostGator offers a range of hosting services, including cloud, dedicated and reseller, as well as VPS and WordPress. In terms of its shared web hosting, HostGator offers three plans: Hatchling, Baby and Business. For pre- or freshly launched businesses, the Hatchling plan could be suitable, offering a single domain name, unmetered bandwidth, and a free SSL certificate. If your business is developing or growing, you may want to consider the Baby plan, which includes the above features, as well as unlimited domains. Alternatively, the Business plan could be ideal if you’re looking to advance your site’s web hosting. It includes the features from the other two plans, plus enhanced SSL security, as well as a dedicated IP and SEO tools for free. 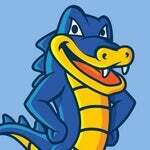 HostGator is best for ease of use because it offers one-click installs across all plans. However, it only has data centres in the US. It began in 2002, and is a US company with offices also in Brazil, Canada, China, Mexico and Russia. SiteGround offers a range of hosting services, including cloud, dedicated and reseller hosting, as well as the standard shared hosting. The StartUp package is ideal for completely new businesses, offering hosting for one website and 10 GB of web space, and can accommodate up to 10,000 monthly site visits. The GrowBig package is suitable for growing businesses, as it offers hosting for multiple websites and 20 GB of web space, with the ability to cater for up to 25,000 monthly site visits. However, it only offers two types of packages. SiteGround is best for custom cache products as it’s developed its own product, SuperCacher, that can cache – or store – data, allowing for faster website speeds. Established in 2004, SiteGround has a UK base and hosts more than 1.6 million domain names. In this section, we’ll provide more information on some of the key questions you may have around web hosting. Web hosting is a service provided by specialist companies to allow a website to be viewable on the internet. It works by someone searching for your website (the domain name, such as www.startups.co.uk) and then their computer being connected to a server to view it. All websites need to be hosted on a server so that people can access them. You can use your own domain name that you’ve purchased in advance, or if you don’t yet have one, the web hosting provider can help you to find one that’s suitable for your business. So your options are to either create a new domain name or transfer a pre-existing one across to your new provider. It’s important to note that a web hosting provider maintains the server that your company’s website is hosted on – it’s still your responsibility to maintain the website itself. 2. What key terms and phrases should you be aware of? There are a lot of key terms and jargon used to describe web hosting providers and the services they offer. Here, we breakdown some of the most common ones so that you can learn more about what web hosting is and how it works. Uptime is measured as a percentage. The highest score (99.999%) is known as the Five Nines. 99% suggests that in a 30 day period, a website would experience seven hours and 12 minutes of downtime. Just as there are many types of business’ websites, there is also a wide range of web hosting providers. In this section, we’ll cover the key points to consider and factors that may influence your decision to help you choose the best website hosting for your start-up. 3. What are the different types of web hosting? As you can see, there are five main types of web hosting. However, in this article we’re going to focus on shared web hosting, as generally it’s the cheapest option and is most relevant to new, small businesses. For example, a shared web hosting service is like taking the bus. You pay a small fare to go to your destination. You have your own seat but you’re sharing the vehicle and the journey with other passengers, and the route is already mapped out for you. In comparison, dedicated web hosting is similar to riding in a chauffeur-driven limousine. You get the sole focus of the driver, and the route can be altered to your specific wishes. Plus, you’re likely to be doing the journey in a high-end, custom vehicle, with a price tag to match. So while the above points may clarify what type of web hosting you should use, what else should you consider as part of the decision-making process? Backup frequency – it’s useful to know how often backups happen. This is when copies of your website’s data are saved and stored so you can access your business’ information and files if a crash should happen. Bandwidth amount – check the amount of bandwidth the web hosting provider offers. If your website receives a lot of traffic or if you run an online business or shop, it’ll generally need higher bandwidth to handle the number of visitors. Customer support – it’s worth thinking about how you can contact the web hosting provider, as well as which forms of communication best suit your company’s needs. Common examples include email, live chat and phone support. Email – check if email is available as part of the service. This is usually as an email address with your website’s domain name, as well as how many emails you can send. Hosting code – this a more advanced consideration, and you’ll only really need to think about this if you (or your web developer) will be accessing the web hosting code. If so, find out if Linux or Windows (the two types of programmes) are used and what this means for your site. Number of websites – find out how many sites can be hosted with your chosen provider and package. While you may be looking to host only one site at the moment, as time goes by and your business expands, you may require multiple sites to be hosted with the same provider. Renewal rates – confirm what the price is both for now and for the future. If you do decide to renew the service, it’s wise to know ahead of time if the price is going to increase and if so, by how much, so that you can plan your business’ cashflow accordingly. If you want to avoid increases after renewal, you could shop around and switch web hosting providers before they’re due. Just bear in mind the cost and time involved to change providers frequently, as well as if transferring your website incurs any charges. Security – review what security features the provider offers. Pay particular attention to if Secure Sockets Layer (SSL) certificates are included, or if you’ll have to pay for them separately, whether with the web hosting service or from another source. These are the padlock and ‘https’ you see at the start of the domain name in a browser window. If you’re looking to sell online, you’ll need these so that your customers can feel safe using your ecommerce platform. Server location – think about where the servers are located. Generally, as a UK start-up, you’d want the servers to also be in the UK so that your site loads as quickly as possible. Plus, having access to support in the same location and timezone can be helpful to address any issues as easily and quickly as possible. However, if you run an international business or you’re looking to target customers in different locations, then consider servers located in or near to the relevant location. Service level agreement (SLA) – this refers to what servicing and maintenance is included in your chosen plan and price point. Review this to know what your responsibilities are, as well as what the provider’s duties are too. Storage – this refers to how much data can be stored. Essentially, it’s how much space the web hosting provider offers. How much you’ll need will depend on how big your business’ website is, as well as what’s on the pages, such as the files it holds – images, text, and HTML code, for example. Price – this is likely to be a top priority for you as a small business owner. Think about how much your business can afford and which frequency (monthly or yearly) is most suitable. Usually, web hosting providers offer a monthly price. Be sure to check what the requirements are of this, such as if it’s an introductory offer or if that price is based upon a long-term contract. Generally, if your business is completely new, with a recently launched website, you may want to consider a lower priced option. Then, as your business grows and develops, you could decide to pay more for an enhanced service. 5. What about free web hosting? Free web hosting is possible and cost-saving is its main benefit. However, these services may experience slower connection speeds and more downtime, as well as increased advertisements. Plus, they may not be able to offer SSL certificates, which may be a security concern. We’ve rounded up the five best hosting providers and you’ve learned more about web hosting, including what it is and what the impact could be for your business. Also, we’ve provided information about some of the best website hosting services suitable for start-ups. So where do you go from here? The next step is to speak with suppliers – Startups can help with this. Simply complete the form at the top of the page to compare hosting quotes.